Every December, when I sit down to recap the year's "top transportation stories," it's always a struggle to narrow the field, but 2018 made that task especially difficult. Cincinnati Metro's beleaguered bus service remains the region's biggest transportation challenge, with ridership and funding continuing to dwindle with no solution in sight. Residents across the city have gotten more vocal than ever about aggressive driving through their neighborhoods. 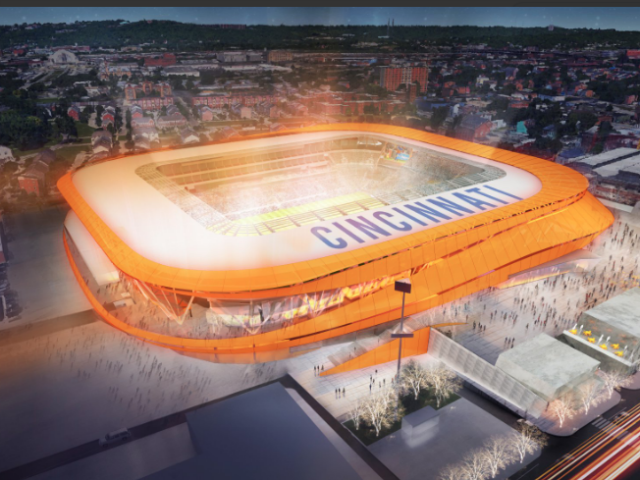 Battles over traffic and parking in the urban core reached a fever pitch this year after FC Cincinnati committed to building a 26,500-seat Major League Soccer stadium at the border between West End and Over-the-Rhine. Oh, and the scooters. I can't forget the scooters. 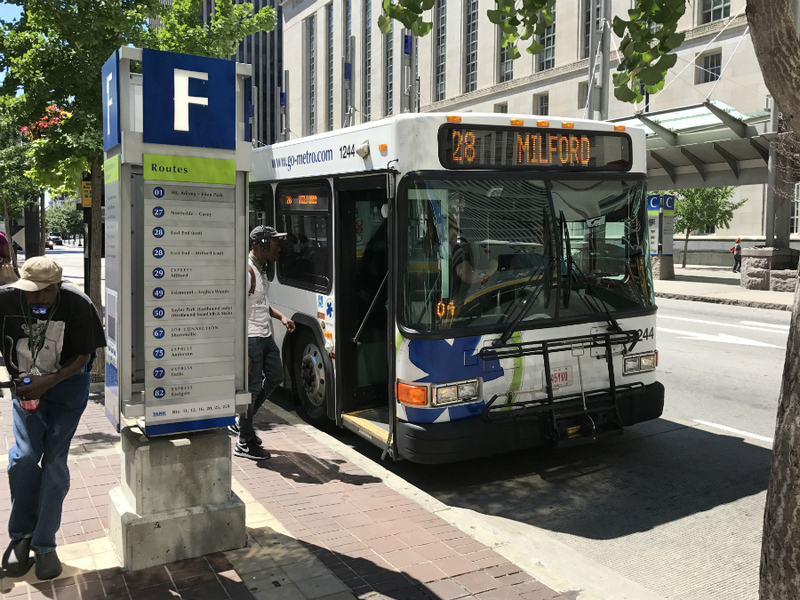 Cincinnati Metro advocates hoped this year's midterm elections would prompt at long last the Southwest Ohio Regional Transit Authority leadership to ask for voters' approval of a sales tax hike in Hamilton County. The 0.5 percent to 1 percent increase would have boosted Metro bus service with more frequent arrivals, new routes and more bus stop amenities like shelters and benches. The SORTA Board of Trustees, however, opted not to put the measure on this year's ballot. Board chairman Kreg Keesee said the political climate wasn't right and leaders hadn't reached a satisfactory consensus. "I do not believe that the current environment provides a clear path to victory at the polls even if consensus had been reached," he said in a July 24 statement before removing a vote on the matter from the board's agenda. It was déjà vu for Metro rider and activist Cam Hardy, with the Better Bus Coalition. On multiple occasions, Hardy has criticized the board for failing to find a new funding model, which Metro desperately needs. "All I am hearing is pie in the sky," he told the board after they tabled the transit tax issue. "We need to take that '20 million rides by 2021' mission statement down. That's not going to happen if we're slashing service. "At this point, the public can't trust this board." Keesee promised to continue pushing for a transit-related ballot measure "as soon as practicable." Metro remains alone among Ohio's biggest regional transit systems not to receive some funding through a sales tax levy -- Cleveland, Columbus, Dayton, Akron and Canton all do. Half of Metro's funding comes from a small portion of the city of Cincinnati's earnings tax. 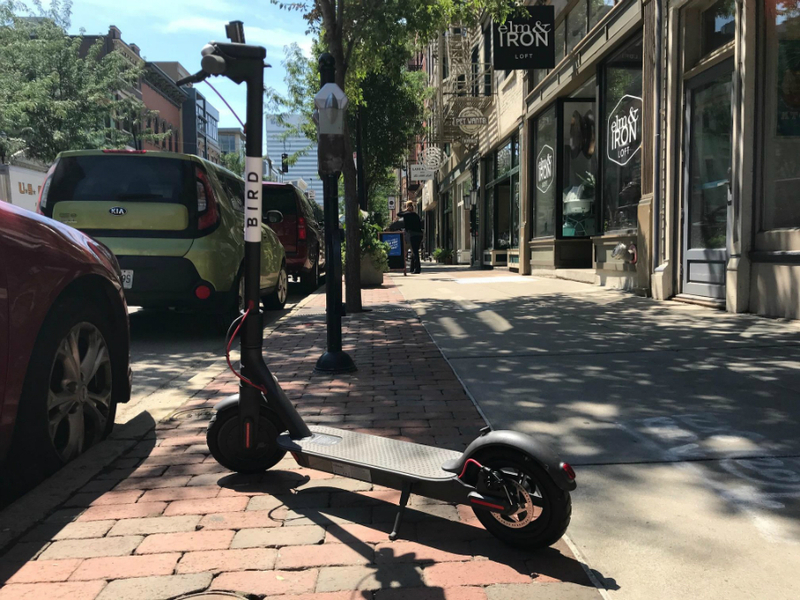 Cincinnati was one of dozens of U.S. cities this year to grapple with a new player in the shared mobility game: rentable electric scooters. Bird scooters first arrived in late July, and their competitor Lime followed not long after. Riders use a mobile app and credit card to locate and rent the dockless scooters, which could be located anywhere throughout the city. The scooters' arrival met mixed reaction from city residents and elected officials alike. Some celebrated a new, affordable mobility option to help with shorter trips where paying for parking or waiting for the bus might not make sense. Others, though, worried they would be misused. It became clear quickly that no one was really sure where these scooters belonged -- in the street or on the sidewalk. Even though the rental companies directed riders to use them only in the street, many riders did not feel safe doing so and ignored the rule. This forced City Council -- like most other cities where the scooters appeared -- to update the city's code of ordinances to include rules for using the scooters banning them on city sidewalks. But not before one council member entertained banning them outright . Cincinnati wouldn't have been the only city to do so. Liability in the event of a crash remains an unanswered question. READ MORE: Are rental scooters just a distraction from bigger problems? 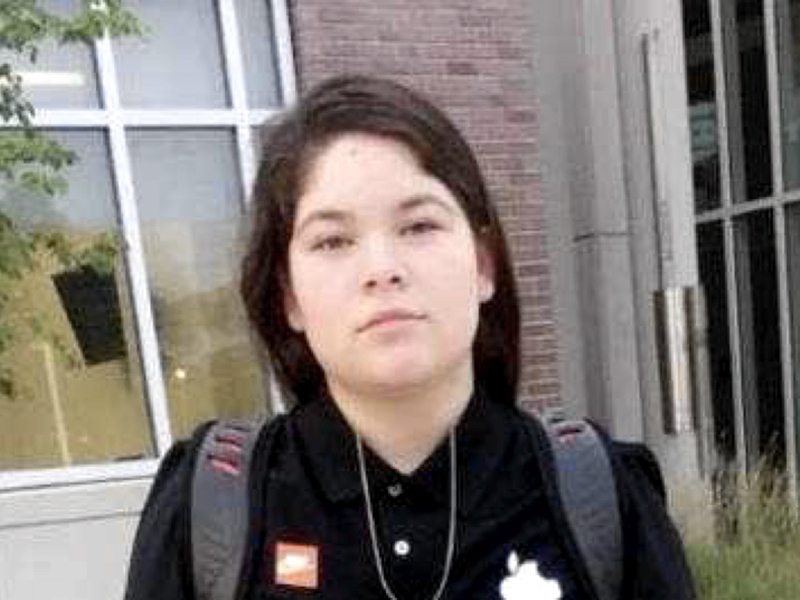 Rodriguez was a 15-year-old softball standout at Western Hills University High School when not one but two cars struck her while she was crossing Harrison Avenue near the boundary between East Westwood and North Fairmount. The crash happened while she was trying to catch her Metro bus to school on an early Monday morning in September. Police said the first driver stayed and cooperated with officers' investigation, but the second driver -- whose car caused the greater extent of injury to the teenager -- fled the scene. Detectives are still searching for that driver. Rodriguez's death was the latest in a growing list of high-profile road fatalities, specifically involving people killed while walking or crossing the street. Those fatalities have sparked outcry from neighborhoods across the city over the last three years, with residents asking Cincinnati police to increase speed enforcement and crack down on aggressive driving. Madelyn Gerker was finishing fourth grade when she decided it was time to write her local lawmakers. Her request was simple: a sidewalk for her and her siblings' short walk up Sussex Avenue to Sands Montessori in Mount Washington. "I am writing to you because we need a sidewalk," she wrote in a March 22 letter to the mayor and City Council, underlining the word "need" twice. "A couple months ago my brother Henry almost got ran over by a bus." The letter prompted a visit from city transportation officials to survey the street, as well as a meeting with Mayor John Cranley. 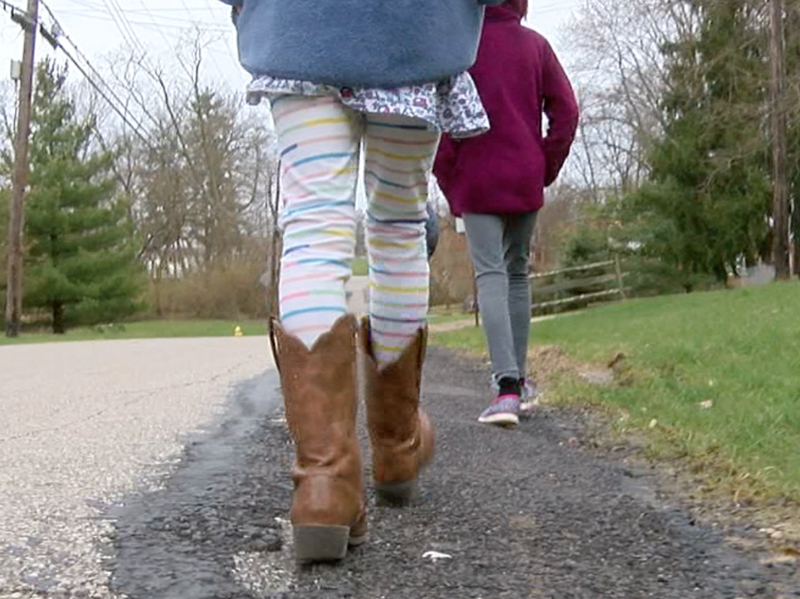 Madelyn's mother, Heather Gerker, told WCPO the city has presented two options but still is working to find funding to install the sidewalk. Heather said Madelyn's latest action was visiting City Council at its Dec. 5 meeting, urging the city to cover drainage costs associated with constructing the new sidewalk. She is also working with Cincinnati Public Schools to update Sands Montessori's Safe Routes to School plan. Multiple WCPO reports this year detailed what Cincinnati police acknowledged was a sharp decrease in traffic enforcement in recent years. The department's Traffic Enforcement Unit in October announced what leaders said would be the first of several rounds of renewed, targeted traffic enforcement aimed specifically at speeding and aggressive driving. A WCPO analysis in January showed that Cincinnati Police Department traffic enforcement declined 60 percent between 2009 and 2016 . That trend began to reverse modestly in 2017. CPD Assistant Chief Lt. Col. Paul Neudigate said the department is making it a priority. "For a long time, traffic was not something there was a lot of emphasis on. It's there now," he told WCPO in October. "We've heard the community. So what we're trying to do now is be very responsive to the community concerns." 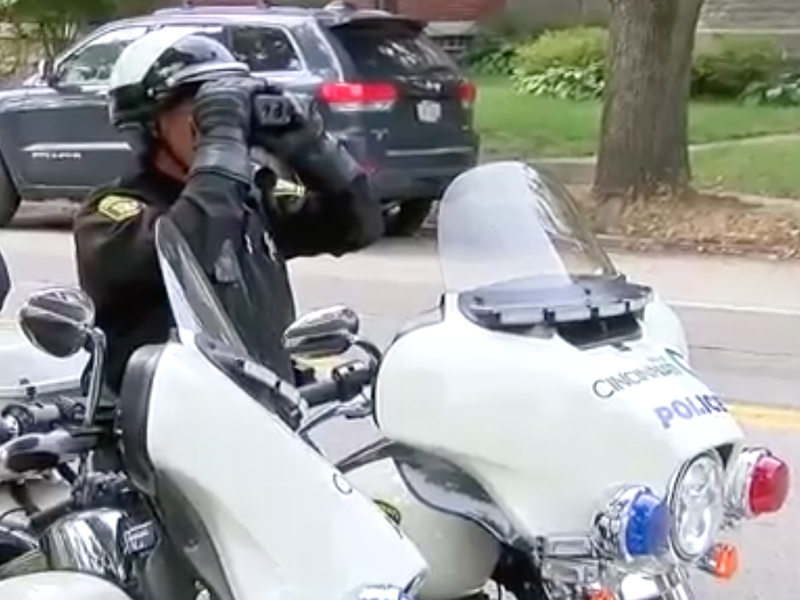 Neudigate said traffic enforcement officers would target certain intersections across 19 neighborhoods, based on feedback gathered by an online city survey. 6. 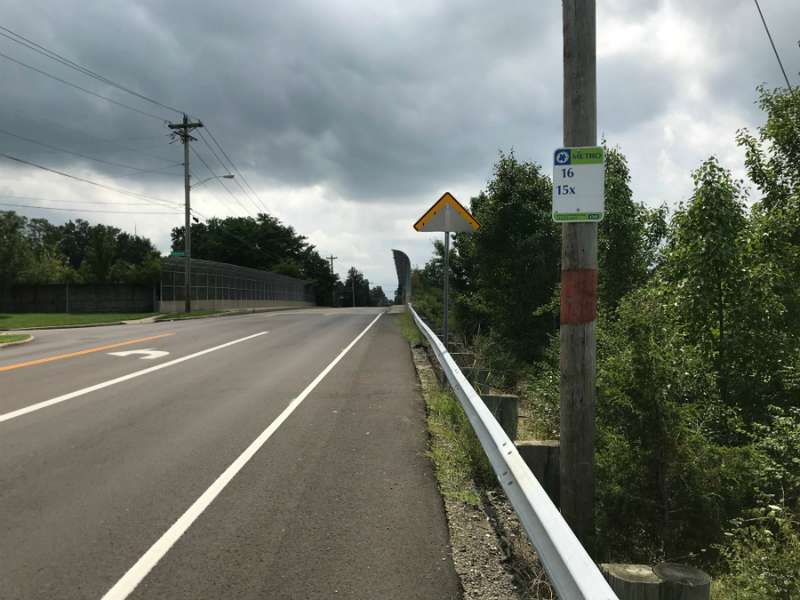 'Sorriest bus stop' in the U.S.
A lonely Metro bus stop on Daly Road in Springfield Township made national headlines -- and plenty here at home, too -- when StreetsblogUSA nominated it for "sorriest bus stop" in North America this year. The stop earned the nomination for a few reasons: The stop was not lit, and it offered neither shelter nor a place to sit. Instead, it sat perched over a guardrail where the absence of a sidewalk meant there was no safe place even to stand while waiting for the bus. It ultimately lost the "sorriest bus stop" contest in the final round to a stop in Vancouver, B.C. -- making it second-worst on the continent, but still the sorriest among U.S. cities. The attention prompted Metro to move the stop . The not-so-noble title led WCPO's I-Team to investigate the state of Metro's bus stops. That investigation found that the majority of bus stops throughout the region offer neither shelter nor seating. If it weren't for the persistent, grassroots efforts of the nonprofit Better Bus Coalition, Cincinnati Metro might not have had a milestone to celebrate this year. Among other projects -- like installing homemade benches at bus stops -- the group of volunteers lobbied City Hall to test a bus-only traffic lane along Downtown's Main Street corridor during the morning and afternoon rush hours. 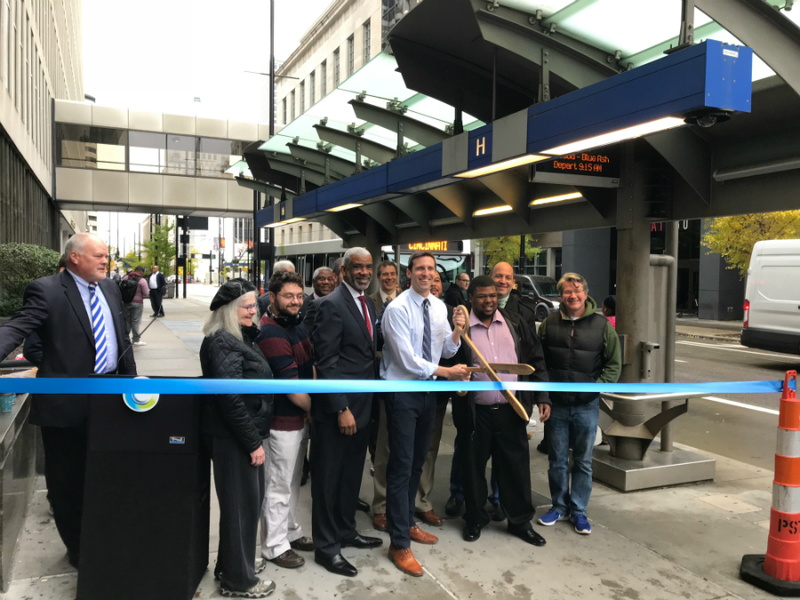 After eight months of working with City Council members and the Department of Transportation and Engineering, the bus-only lane launched in November -- making it the first of its kind in the city's history. It remains in the testing phase and is only in effect from 7-9 a.m. and 4-6 p.m. The challenge now is making sure the city enforces the new rule. The city's Parking Enforcement Office has issued some citations, but some are asking for even more enforcement along the bus lane, including City Council member Chris Seelbach. During a Dec. 11 council committee meeting, he grilled city administrative officials demanding more enforcement. "I am tagged four times every morning and afternoon with photos of cars parked in the bus-only lane," he said. "It seems to me that Council does its job; we bring up concerns; we do everything the administration recommends, and then it's implemented, and it fumbles because we're not doing everything possible. "We've got one chance at a good first impression, and we've fumbled it." 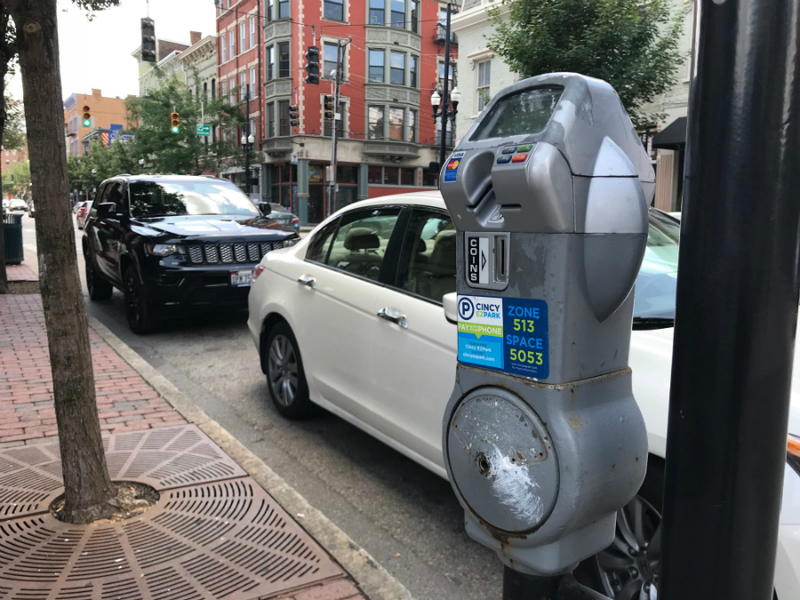 It had been seven years since Over-the-Rhine neighbors first went to the city requesting a residential parking permit plan, according to former OTR Community Council president, Peter Hames. But when City Council finally approved a plan in September, Hames was less than enthusiastic. "If you look at what they produced, they've really ignored the input we have given them," he told WCPO . The special permit parking plan restricts 500 on-street parking spaces to permit-holders only, leaving another 790 spaces metered throughout the neighborhood's southern district below Liberty Street. Permits are available for $60, or for $25 if a resident lives in subsidized housing. The new rules go into effect Jan. 1, 2019. Hames and others don't think the plan thinks big enough, especially because attached to the parking plan legislation was an ordinance eliminating a requirement that new developments in the neighborhood must include a minimum number of off-street parking spaces. As demand for parking increases in OTR, without increasing supply, Hames worries that will drive up housing costs in the neighborhood. Adding fuel to the fire: a 26,500-seat soccer stadium moving in next door in West End. Speaking of the new MLS stadium, it's no surprise that bringing a 26,500-seat venue to a dense neighborhood like West End will have numerous traffic and parking implications. The latest plans call for around 600 new parking spaces to sit in a surface lot and a new parking garage on the stadium site -- with the potential for another 500 to 1,000-space garage not far away. But fans will have to look to neighboring districts like OTR and Downtown once those spots are taken. By developers' estimate, roughly another 8,000 off-street parking spots are available within walking distance or near the streetcar line . The team's latest plans also call for shutting down Central Parkway to vehicle traffic on game days between 15th and Wade streets, near what will become the stadium's main entry plaza. The city is waiting on a traffic study detailing how that would impact traffic on nearby streets like Race and Vine streets in Over-the-Rhine or Ezzard Charles Drive in West End. For good measure, here's a 10th story: Did you know the city estimates it would cost $1 billion to bring all of its roads and bridges up to "good" condition ?